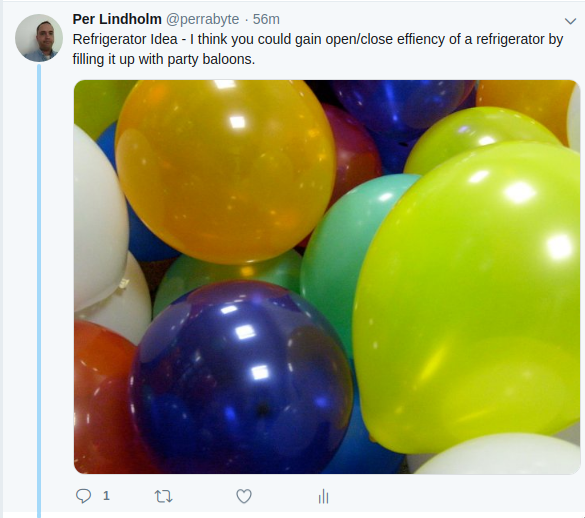 Refrigerator Idea – I think you could gain open/close effiency of a refrigerator by filling it up with party baloons. 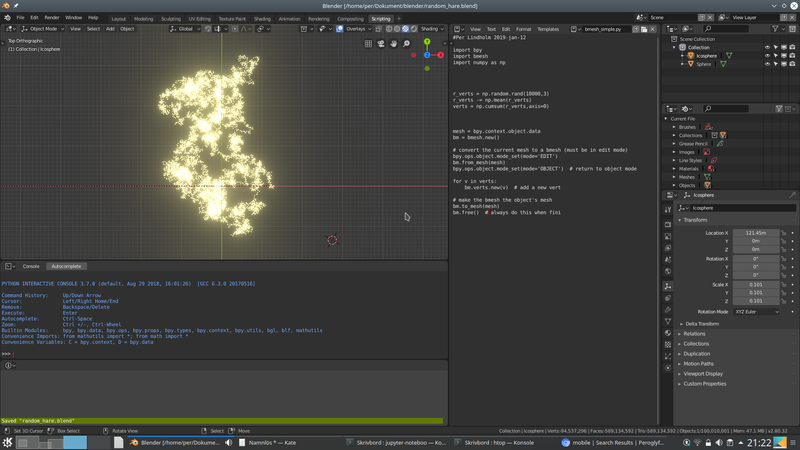 | Peroglyfer – Machine Learning changes math. Math changes everything. Previous PostMachine Learning Idea – A sort of generalization is putting a line between points in a curve. Linear Part Of a Maclaurin Series f(x) ~= f(0)+f'(0)*x+… This Suggest you ?can transform the multidimensional input to a single parameter.Compare the linear approximation with y = model(x) between points. Should give a more stable model().Next PostMachine Learning Physics – Water Weather Accuracy – As the number of snowflakes are unique. I wonder if this can be used to test the accuracy. Predicting which ?two snowflakes will hit each other at the ground first. This so accuracy will be improved to water each plant on earth.